This modern and spacious detached villa enjoys fantastic sea views and has been tastefully decorated with a nautical décor. It is located just 50 metres from the lovely beach at Trénez. This modern and spacious detached villa enjoys fantastic sea views and has been tastefully decorated with a nautical décor. It is located just 50 metres from the lovely beach at Trénez, and within half an hour’s drive of the medieval town of Quimperlé. Pont Aven, which has been a popular residence for many famous artists, is just a short drive along the coast - here you can discover a selection of art galleries, craft shops and seafood restaurants. The four bedroom holiday home boasts an indoor heated swimming pool with Jacuzzi, sauna, solarium and shower cubicle. The agent has rated it as a four star property so it is a well-equipped villa with above average furnishings. It is also great value for money. 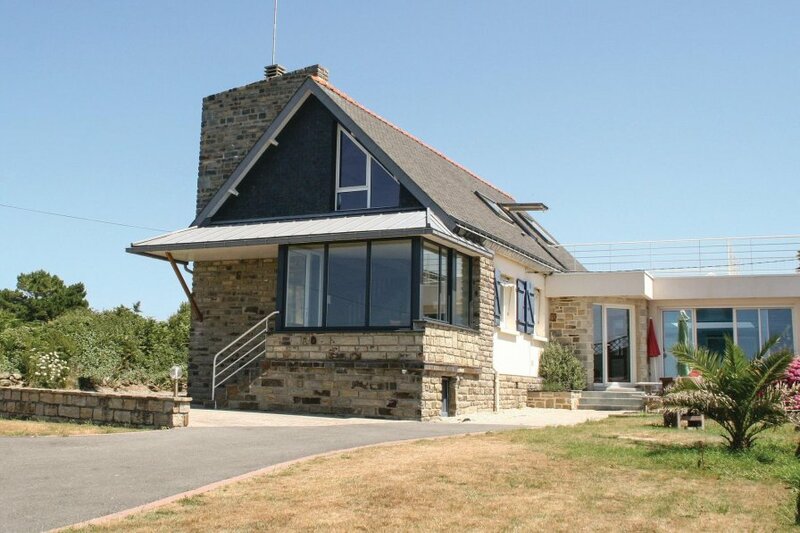 This villa has a private pool and sea view; it is also located in Moëlan-sur-Mer. It is set in a very convenient location, just 50 metres away from a sandy beach. There's also a restaurant 2.6km away.